Cecilia Rodriguez was born in El Paso, Texas, the daughter of first generation Mexican-Americans. In high school, her article on racism for the school newspaper was banned by the school administration, only to be published by Mexican-American students at the University of Texas, El Paso (UTEP). Later, as a student at UTEP, Cecilia nearly lost her scholarship after she was arrested for participating in demonstrations on housing rights, strikes at local garment sweat shops, labor organizing efforts at local plants, and participation in the grass roots La Raza Unida political party. In 1977, disillusioned with the discriminatory practices and lack of vision of the political leadership in El Paso, Cecilia went to the lower Rio Grande Valley where she wrote a newsletter for an alternative television station. She gradually got involved with farm workers and with auto workers in Brownsville, Texas. In 1981 in El Paso, Cecilia met women workers employed in the rapidly deteriorating garment industry in El Paso, who believed that the Amalgamated Clothing Workers Union was not representing their interests. She and her husband, Guillermo Glenn, began recruiting and passing out literature at local factories to women interested in joining a workers’ support center. They earned the workers’ trust by providing health screenings for over 1,000 women factory workers, and by organizing a walkout at a local sweat shop that secured the workers’ back pay and previously promised holidays. For the next nine years, Cecilia worked as director of Centro del Orbrero Fronterizo (the Center for the Border Worker). Centro’s principal service program, La Mujer Obrera (the Working Woman Program) provided assistance to minority women dealing with illiteracy, unemployment, health-threatening working conditions, homelessness, and threats of deportation, when no public and few private institutions were willing or able to help. The garment industry on the border paid workers a sub-minimum wage of less than $3.80 an hour. The workers were often abused by sweatshops that threatened to relocate across the Rio Grande River where they could pay workers even less. The Centro sought to enfranchise garment workers by bringing them into political and social processes where they could help themselves. With several small foundation grants, Cecilia was able to create greater community support for the value the workers added to the Centro. The Centro linked up with local churches to develop a health clinic and coordinated legal aid for workers. 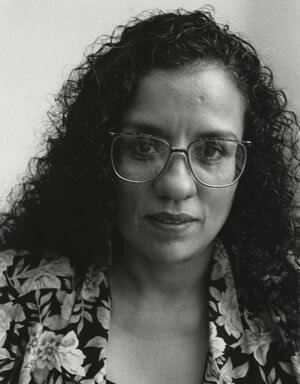 In 1991, Cecilia was selected to be Executive Director of the Funding Exchange, a national social justice foundation based in New York City. In 1994, while at the Funding Exchange, Cecilia responded to the request of Mexican Bishop Samuel Ruiz for an emergency human rights delegation to visit Chiapas where the indigenous Indian peasant population had risen up against the local land barons and government officials who had increased the pressure to push the peasants off their land. Cecilia became the coordinator of the National Commission for Democracy in Mexico (located first in El Paso and later in Los Angeles), which provides support through a network of 30 American cities. Cecilia responded by making the attack public. “I will not shut up, I will not stop my work or travel to Chiapas or my work in the United States as a representative of the Zapatistas,” she explained. “I will continue to work tirelessly until the Zapatista demands for justice, freedom, and democracy are achieved.” In the three years since Cecilia was raped, the authorities have made no effort to prosecute the crime. Cecilia Rodriguez continues her work in the marginalized communities in the U.S. and Mexico, organizing health, education, and agricultural projects in Chiapas and bringing people information on trade issues, environmental justice, immigration problems, abusive labor practices, and civil and human rights. She continues to dare to speak out for peace and respect for the most vulnerable members of these U.S. and Mexican communities.